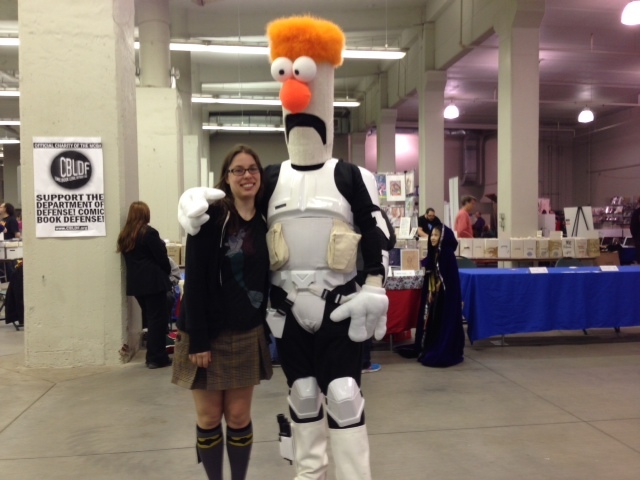 SpringCon 2014 Extravaganza… with pictures!! And it’s all over folks! 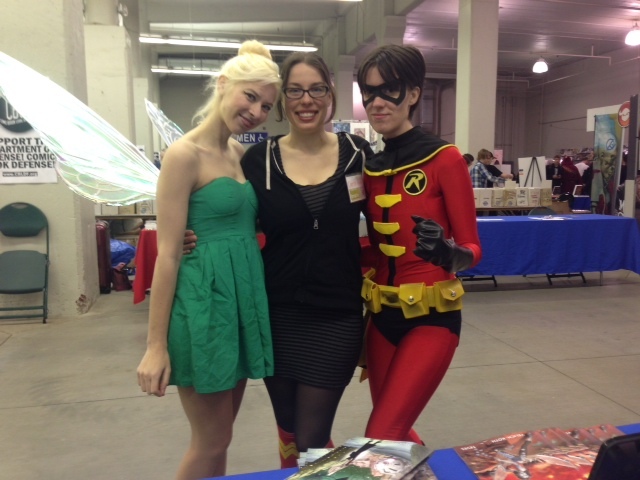 SpringCon 2014 is done. Wow. What an absolutely INCREDIBLE time! 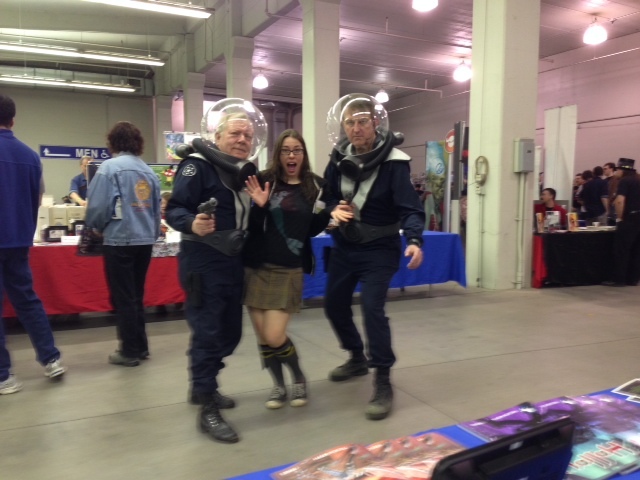 This year was probably my best con ever so far. I had so much fun, met some great people, interacted with some awesome readers, artists, writers, and of course volunteer staff! But enough with the words… I know you are all here for PICTURES!! 🙂 So… enjoy! 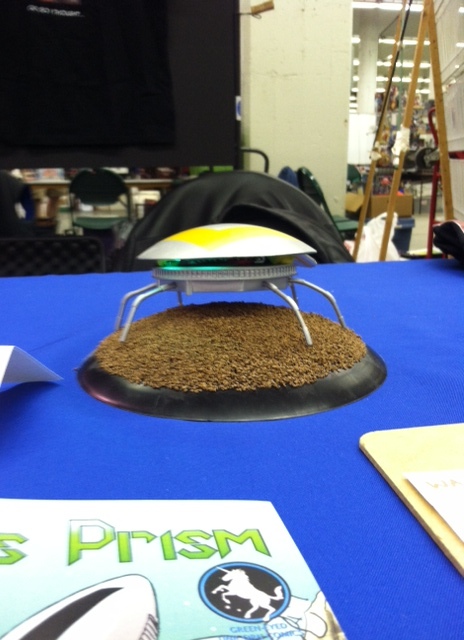 Table is all set up and waiting for action! 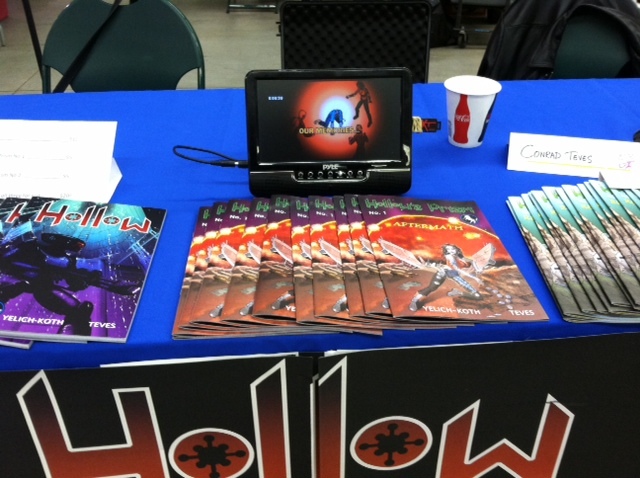 Including our mini-player which repeats our cool trailer for HOLLOW! 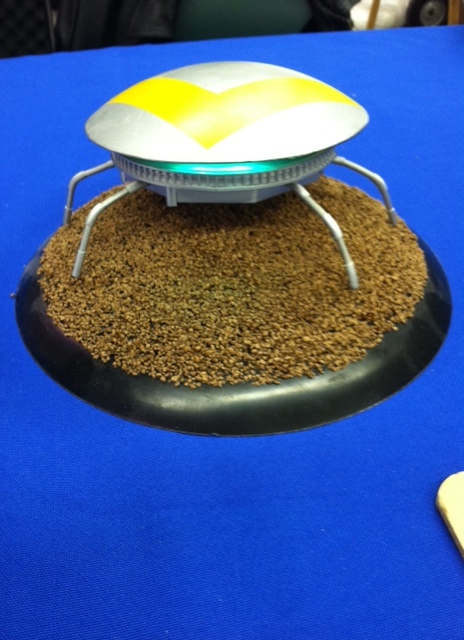 Tinnybot Commander Squee is all ready to go! He makes a return appearance in HOLLOW’S PRISM no. 2 “REUNION” and was excited to see his fans! 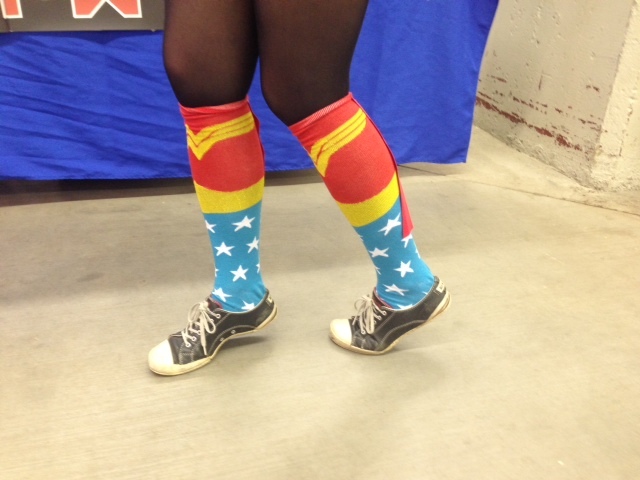 For those of you who took the poll, WONDER WOMAN won out for socks to wear to open SpringCon! 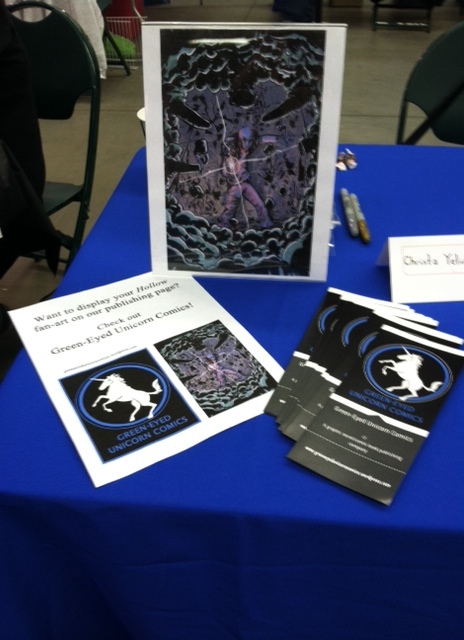 Our very first FanArt, by Alberto Rios, was featured on our table, along with pamphlets about our publishing company, Green-Eyed Unicorn Comics. We ran out of brochures!! 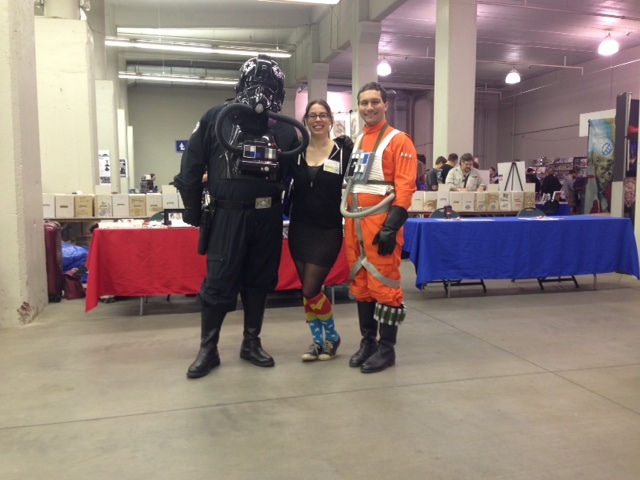 As usual, the 501st were there in full swing with their Star Wars costumes. SOOOOO fun! TRADITION!! 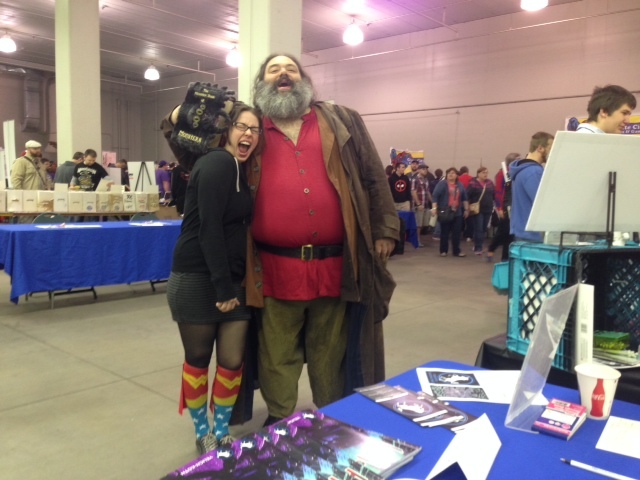 It was great to see “Hagrid” again, although his Book of Monsters was a little riled up. OUCH! 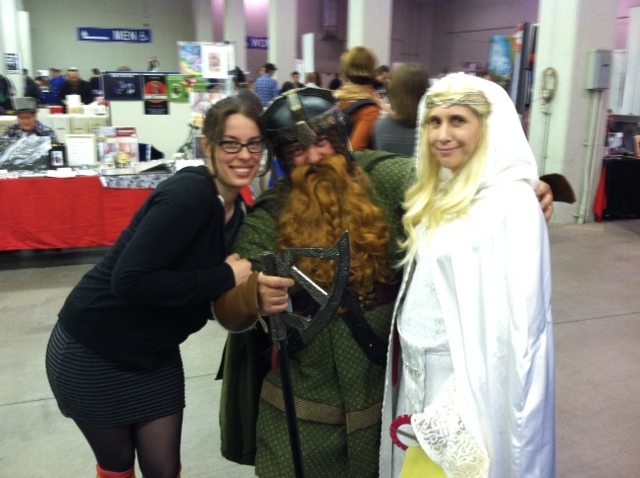 …and Gimli and Galadriel here! A wonderful pop-in from Saeed Purcell–someone who has followed us for a while and was wonderful to continue to support us and the HOLLOW’S PRISM series! Great to see you Saeed! And what a surprise! 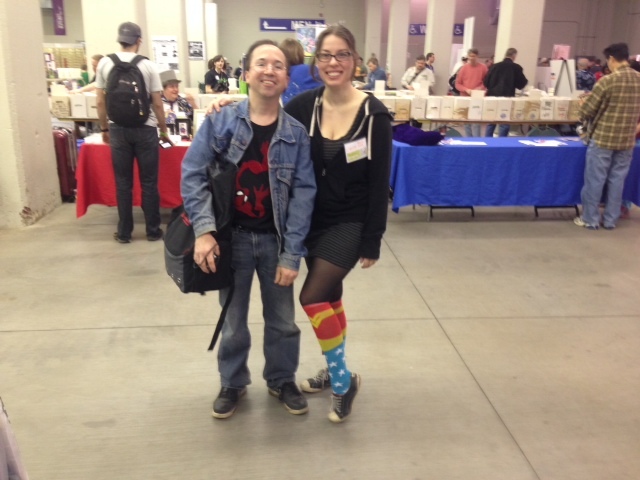 Jeff here showed up at our table because he’d seen my post about Wonder Woman vs. Batman socks! So of course, we had to take a picture to show off the winners! 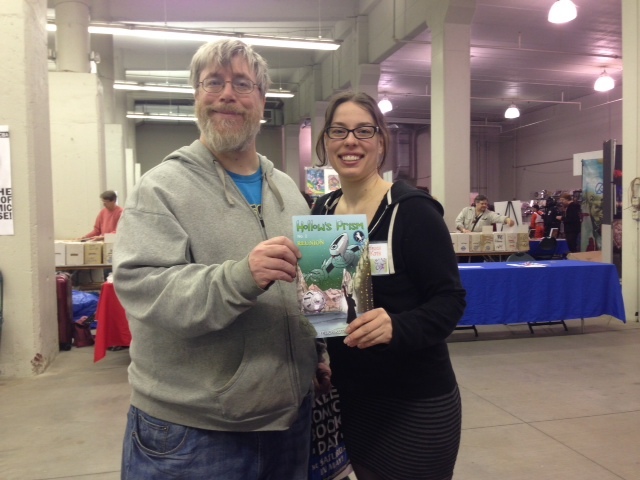 The day closed with a visit from Scott Jamison, our winner of the free copy of HOLLOW’S PRISM no. 2 “REUNION”! 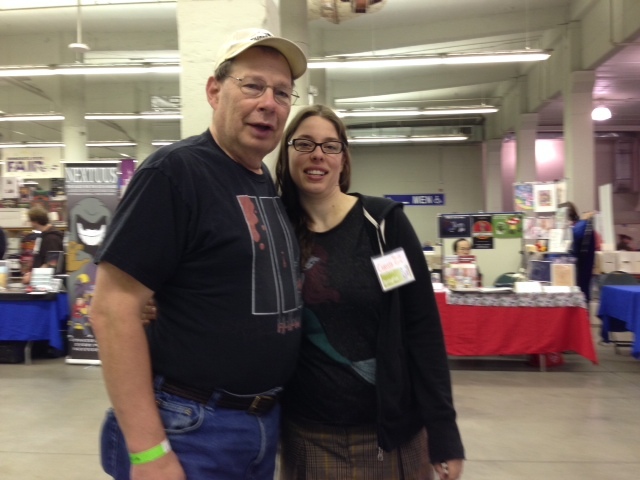 Congrats again Scott and thanks for liking the Green-Eyed Unicorn Comics FB page! Squee was ready once again, this time for his close-up! 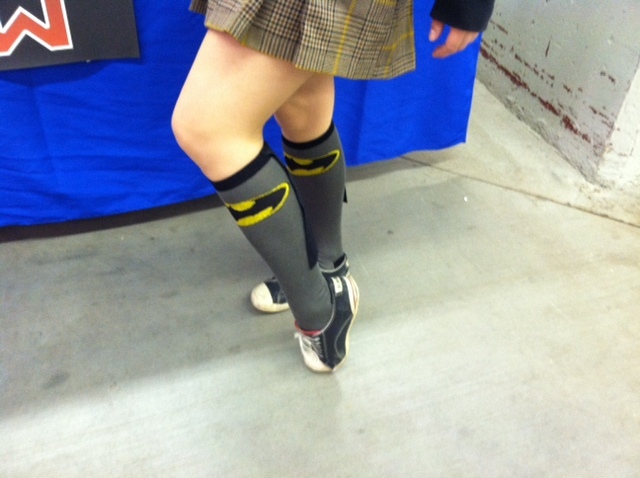 Wonder Woman socks were DAY 1, but BATMAN rocked it out on DAY 2! 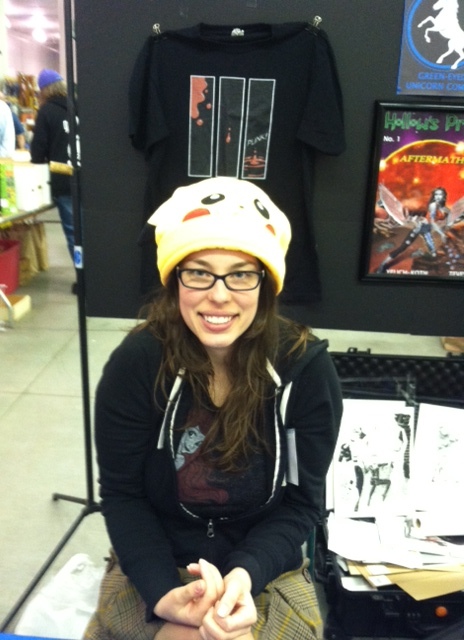 Keeping cozy in a Pikachu hat!! Is there AIR here? We don’t know!! This may have been the best thing I saw all day. Period. HAHAHA!! SO that wraps things up. 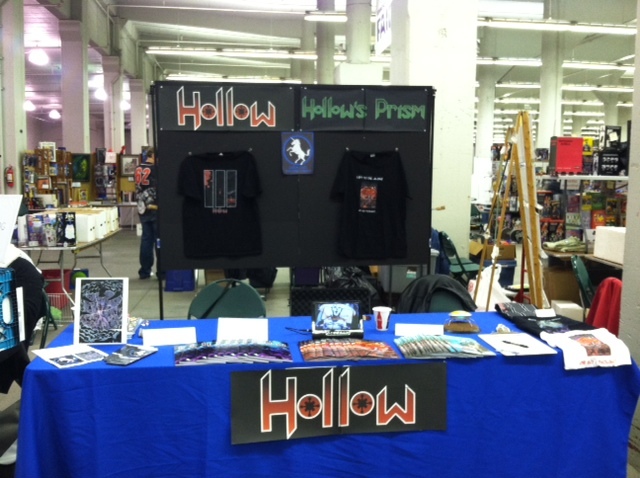 Stayed tuned for more posts coming soon, including updates on HOLLOW’S PRISM no. 3 and the next convention, CONvergence, this coming July!! Thanks to everyone! I had a blast!! it all looked fabulous! i love the table set-up, and how cool that you ran out of brochures for your green-eyed unicorn co. and, of course, the socks were brilliant. i can’t say enough about all of it. everything looked so good, loved all the costumes. yay!!! congrats on having a successful ‘con’, as you call it. well done! It was great fun, and a blast to see you again … I’m a little disappointed that I didn’t make the pictures cut. Oh well! Thanks a bunch; looking forwarding to #3 and the novel. « BATMAN or WONDER WOMAN SOCKS! Which do I wear for SpringCon? ?